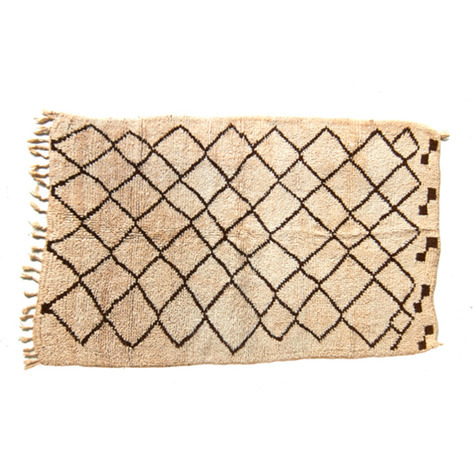 The symbolism of the Berber tradition is often referred to as 'Infinite Rapport', meaning the pattern and the spirit of the work extends beyond its physical borders. 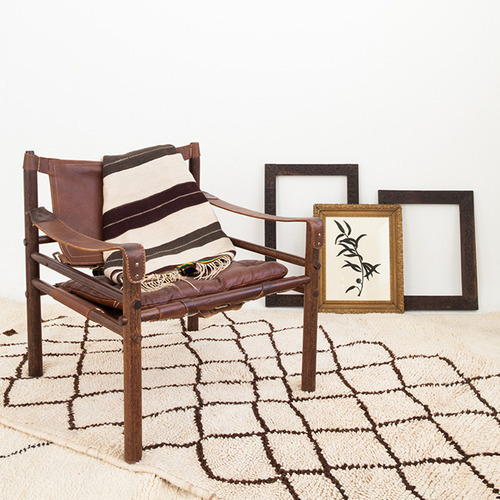 Hand-woven by the Imazighen women of the Azilal province in the mid-Atlas Mountains, this plush vintage monochromatic rug is created with natural wool fibers from the tribe’s black, brown and white sheep. The repeating diamonds and the connected squares are both amulets for the home, representing protection against evil spirits.